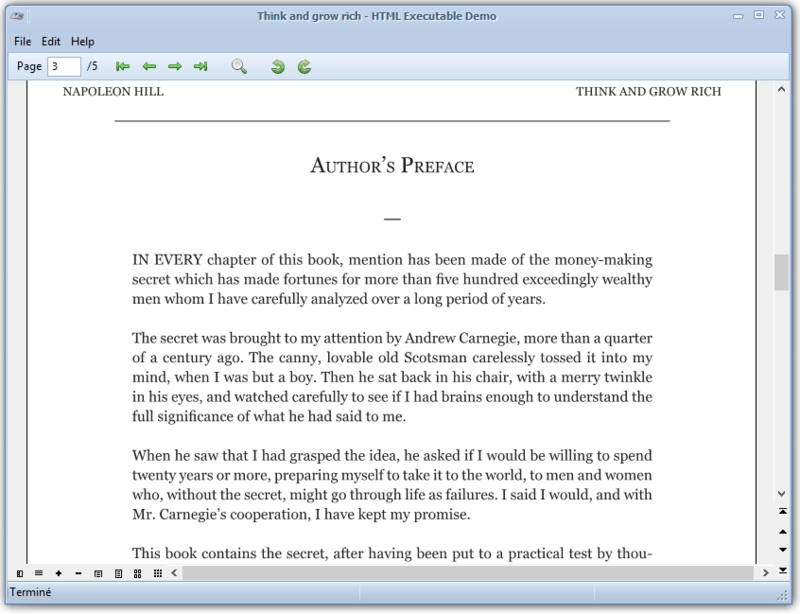 HTML Executable comes with specific content security features for your ebook: use the Windows built-in content protection feature in your ebooks that will stop screenshot utilities. And, to go further, HTML Executable also lets you create a blacklist of software programs that are not allowed to run when your ebook is read by your users. 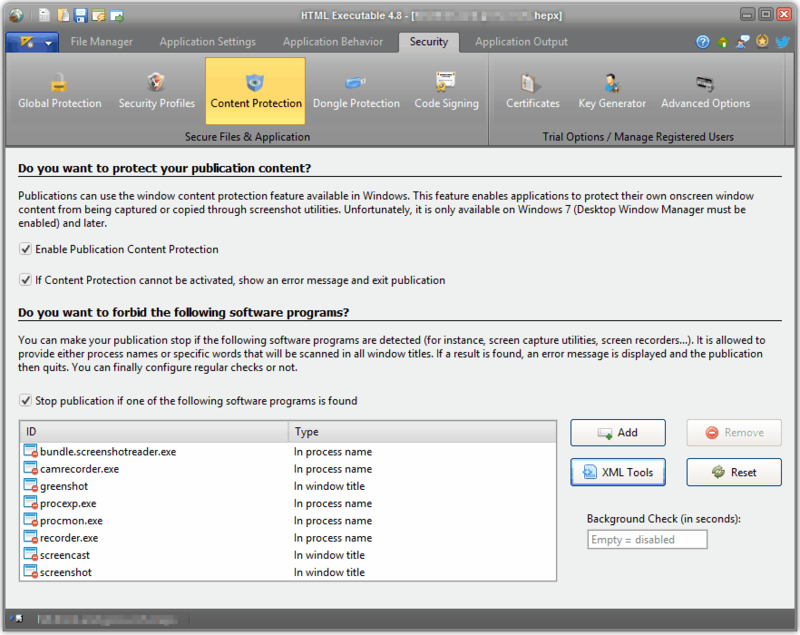 To prevent screen captures, ebooks made with HTML Executable can use the window content protection feature available in Windows. This feature enables applications to protect their own onscreen window content from being captured or copied through screenshot utilities! Since the feature is available starting from Windows 7, you can configure your ebook not to run if this important security feature is not enabled. HTML Executable can make your ebook detect specific software programs (screen capture utilities, screen recorders, screen grabbers, file monitoring software, it's up to you…) and stop in case of positive detection. You manage the blacklist of forbidden software programs: if one software program listed is detected, then the ebook displays an error message and quits. You can configure regular checks: in that case, the list will be checked regularly. 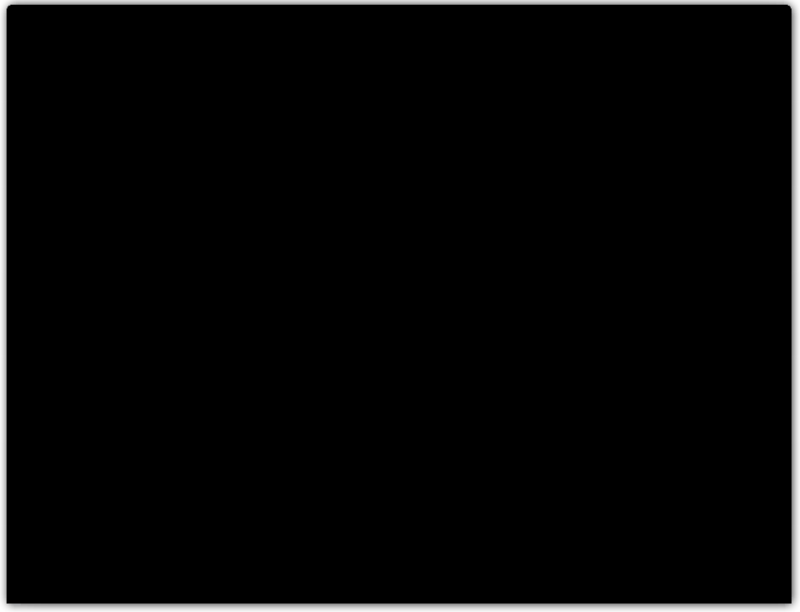 The blacklist accepts either process names or specific words that will be scanned in all window titles.